Iris, the first sign of spring. 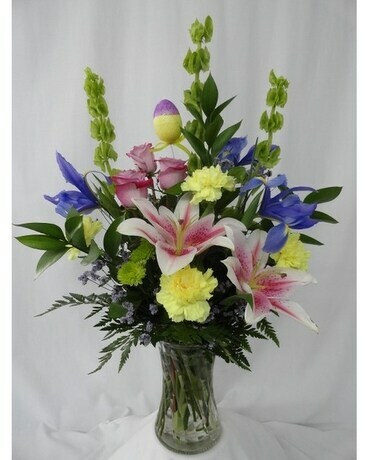 Send the Easter Bonnet Bouquet to celebrate Easter. Featuring, star gazer lilies, iris's, carnations, roses, bells of ireland .